Yesterday, a special group of TEDActive attendees met for a day of presentations, introductions and very lively discussion. They are members of TED’s Open Translation Project (OTP), the worldwide volunteer network that transcribes, translates and sends TED talks out into the world, expanding the reach of the talk’s original language. In fact, OTP Director Kristin Windbigler reports that 1 out of 3 TED views is currently in a language other than English, projected to be 2 out of 3 by the end of the year. Almost all being TEDActive newcomers, the OTP crew has flown in from around the world (it was even translator Romane Ferreira‘s first time leaving Brazil!) to hear this week’s ideas — as well as to meet their fellow translators and discuss how to make their community even stronger. Though the 14 translators (and 1 transcriber, but more on that later) all share a similar passion for spreading TED ideas through subtitling, their backgrounds are much less similar: some brand-new translators began volunteering for OTP just a few months ago, some have been with the program since nearly the beginning; some are in their 20s, some in their 50s; and, of course, they all hail from vastly different countries, cultures and industries, including a graphic designer, a physicist, a teacher, a doctor and an engineer. The translators are also here to talk about their mission — and they mean business. Given the chance to gather in person with people they’ve only known by name or profile picture or impressive number of translations, they could address many tough questions about the nitty gritty tools and processes of their work. There was plenty of geeking out about Amara, the OTP subtitling platform, with tech support lead Margarita Shamraeva there listening to feedback. Netha Hussain, who works on a Southern Indian language called Malayalam, raised the pressing technical issue that QWERTY keyboards for the 80-something characters in her language mean that few people learn to type in it. As TED and OTP have both grown, many challenges have arisen, such as the vast library of TEDx talks that must be transcribed before they can be translated. Bob Prottas is the first volunteer English transcriber to attend the OTP workshop, speaking to the growing importance of that critical first step, which many of the translators commended. The father of a deaf son, he became involved in transcription for the purpose of hearing accessibility, but quickly learned of its vital role in the translation process, too. Also discussed was the importance of transcribing non-English talks from TEDx events worldwide to amp up the flow of ideas into English, an effort that’s been picking up speed lately with more and more talks in diverse languages posting to TED.com, and with the global distribution of non-English playlists now in progress. Umar Anjum, who works on Urdu, noted that this act of translation is not only about crossing a language barrier, but often about the creation of new knowledge. Sometimes, he says, a concept may not even exist in a certain language — when working on Joe Landolina’s talk about wound-sealing medical gel, he ran into the fact that Urdu doesn’t have a word for “extracellular matrix,” as all upper-level science is taught in English. Imagine the unique concepts hidden in each of the hundred-plus languages that OTP enables to be shared. 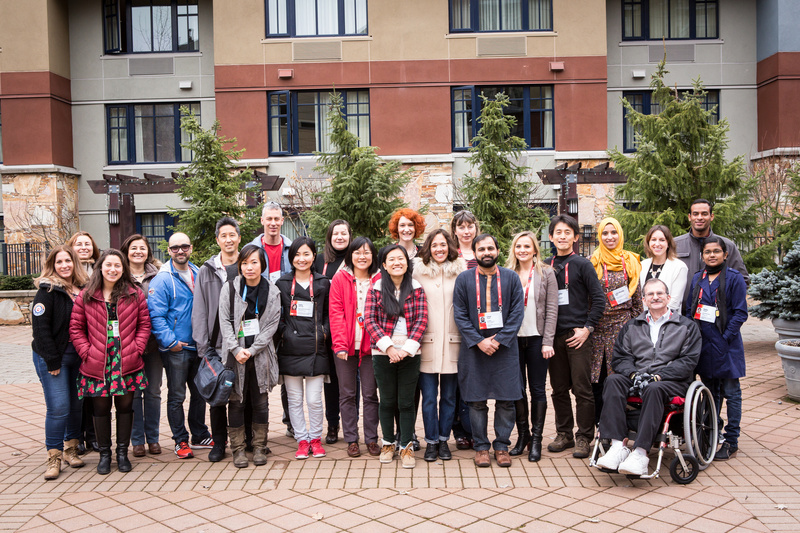 What became increasingly clear over the course of the workshop was how tightly woven into the full spectrum of TED initiatives the translators really are. Several of the translators came to TED through TEDx events in their regions as organizers, attendees, and even a simultaneous translator. OTP translation work is the bedrock of much of the world’s access to TED: updates from TED’s product development director and distribution director showed how translation of the Android app had spiked its use and how media platforms around the world are bringing TED in translation to a total audience of one billion. 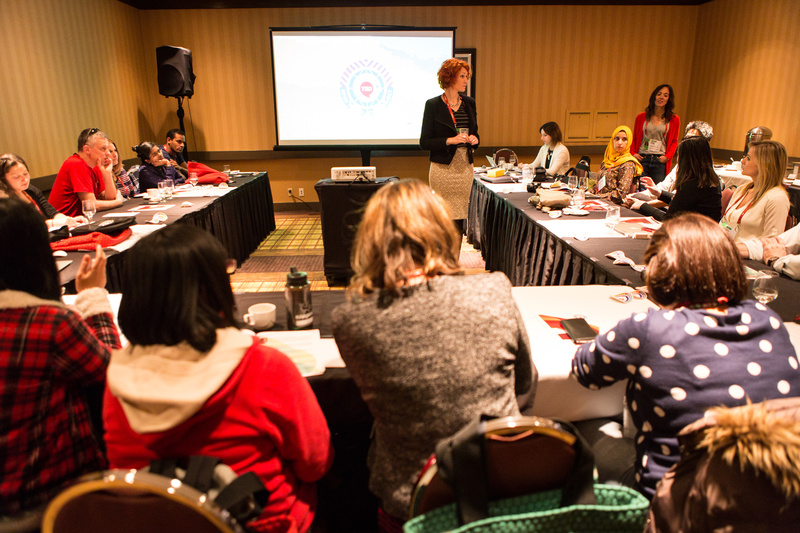 It’s from every facet of the TED world, therefore, that we say: Thank you, translators! You’re an incredibly important part of what we do, and we hope you have an incredible time at TEDActive 2015.